Allen County offices — Closed Monday. Auglaize County offices — Closed Monday. Putnam County offices — Closed Monday. Lima city offices — Closed Monday. Ohio Bureau of Motor Vehicles — Closed Monday. Lima/Allen County Regional Transit Authority — Closed Monday. Citizens National Bank — Closed Monday. Fifth Third Bank — Closed Monday. First Federal Bank — Closed Monday. Huntington Bank — Closed Monday. The State Bank & Trust — Closed Monday. 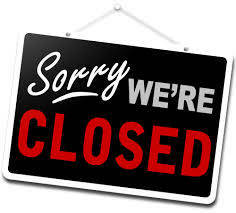 Superior Federal Credit Union — Closed Monday. Union Bank — Closed Monday. Woodforest National Bank (inside Walmart) — Open from 11 a.m. to 2 p.m. Sunday. Open 9 a.m. to 2 p.m. Monday. Chief — Open 24 hours. Lima Mall — Open 12 to 6 p.m. Sunday, Dec. 31 and Monday, Jan. 1. The Lima News — Closed Monday, Jan. 1. Circulation questions may be directed to 419-993-2000 between 7 a.m. and 11 a.m. on Monday. The newsroom will operate from 1 to 11 p.m. Monday. Meijer — Open 24 hours. Sam’s Club — Open 7 a.m. to 6 p.m. Sunday, Dec. 24. Closed Monday, Jan. 1. Open 7 a.m. Tuesday, Jan. 2. Walmart — Open 24 hours. Bluffton University — Christmas break. Students return to class on Jan. 15, 2018. Ohio Northern University — Christmas break. Students return to class on Jan. 16, 2018. Ohio State University-Lima — Christmas break. Students return to class on Jan. 8, 2018. Rhodes State — Christmas break. Students return to class on Jan. 8, 2018. University of Findlay — Christmas break. Students return to class on Jan. 8, 2018. University of Northwestern Ohio — Christmas break. Students return to class on Jan. 3, 2018. Wright State University — Christmas break. Students return to class on Jan. 8, 2018. Post offices — Closed Monday. Auglaize County District Library — Closed Monday. Lima Public Library — Closed Monday. Putnam County District Library — Closed through Monday. Allied Waste/Republic Services — Closed Monday. Routes running one day behind. Apple Disposal Services — Closed Monday. Routes running one day behind. Art’s Rolloffs & Refuse — Closed Monday. Routes running one day behind. Griffith Trash Pick-up Service — Closed Monday. Routes running one day behind, except Friday, it will be picked up on Friday. H&S Refuse — Closed Monday. Routes running one day behind. J&N Hallers — Closed Monday. Routes running one day behind except Friday, it will be picked up on Friday. Wright Refuse — Closed Monday. Routes running one day behind, with Friday being picked up on Saturday.